Today is a very special day for me. I am pleased to announce that my thoughts around Enterprise Java development made it into a report and has been published by O'Reilly. 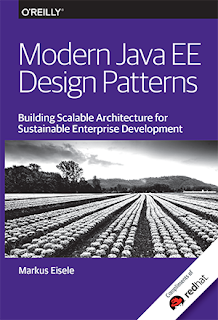 The "Modern Java EE Design Patterns" mini-book is available for download as of today at developers.redhat.com. For free! 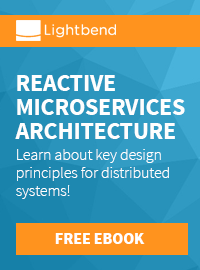 I am covering a lot of ground in this, beginning from the overall Enterprise challenges and changes over the last couple of years all the way down to microservices pattern. With plenty of further reading about relevant technologies and team considerations, you will find resources, ideas, and best practices. And I am very proud to include a foreword by Mark Little (VP of Red Hat Engineering). A big thank you goes out to Danial Bryant, Arun Gupta and Mark Little. They have been the technical reviewers for the report and been helping me shape the content into a cohesive story. Please drop by the Red Hat booth at JavaOne or Devoxx to grab a complimentary copy and I will be spending a lot of time in and around the booth answering any questions you may have. Enjoy the report. With the ascent of DevOps, microservices, containers, and cloud-based development platforms, the gap between state-of-the-art solutions and the technology that enterprises typically support has greatly increased. 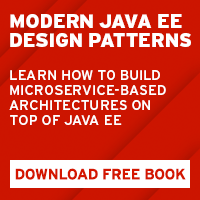 But as Markus Eisele explains in this O’Reilly report, some enterprises are now looking to bridge that gap by building microservice-based architectures on top of Java EE.